Morgan and I recently benefited from good book release timing. As we were finishing up our year-long read of Dragonfly in Amber, we realized we would have the perfect opportunity to read the first novella in The Florentine Series before moving on to the next book in the Outlander saga. We read through The Prince in just a couple of evenings and found it an intriguing introduction to the underworld of Florence, Italy. In case you haven’t read one of our Locklear Library posts before here is how it works. This will be a written conversation between us about our experiences and impressions of the book. We do our best not to disclose spoilers, but we will be talking about the story, and we have no idea what we’ll be asking each other about until now. It’s hard to believe but, it’s been a year since our last Locklear Library installment. We really enjoy this segment and have wanted to do much more with it than we have; but therein lies the problem. Those Outlander books are big! We read books together, which is to say that Jennifer reads them aloud while Morgan plays stick figure golf on his phone. Dragonfly In Amber, the second book in the Outlander series, is big enough to be mistaken for a family bible and we also had our hands full with the editing and publishing or our own novel. Needless to say, it was a long year that went by in a short time but during that time we have made a ton of Outlander (and OutMANder) friends. To refresh your memory (and ours), this post will be a written conversation between us about our experiences and impressions of the book. We do our best not to disclose spoilers, but we will be talking about the story, and we have no idea what we’ll be asking each other about until now. 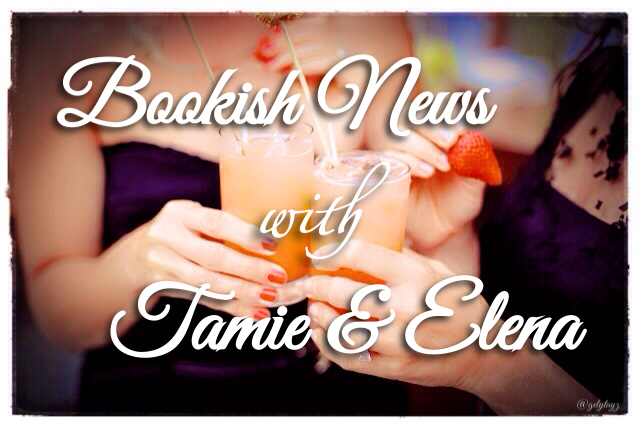 Happy Blogiversary to Bookish Temptations! Many thanks to everyone at BT for your help with our first book launch this past summer, and special thanks to all of you who read the story. Fans of our debut novel, Exposure, may wonder what happened to some of the characters once the Sling Shot movie promotion had died down. Here’s a letter from movie director, Nathan McPherson, to one of his favorite actors, Michelle Cooper, catching her (and us) up on some recent developments. For those of you unfamiliar with these authors, they have written books set against the backdrop of Hollywood. Alexandra Richland spends rotating twelve-hour shifts working as a registered nurse at a Toronto hospital, indulging in her love of science and medicine and caring for patients with their own unique tales to tell. Morgan and Jennifer Locklear met in 1989 as teenagers and became high school sweethearts. They have been married since 1995 and live in the Pacific Northwest region of the United States with their two children, a son and daughter. Although both enjoyed creative writing in their youth, they have only been working as a writing team since 2010. Since then they have created a dozen full-length and short stories together. Jennifer has been employed in fundraising and development for a non-profit organization since 2000. She also enjoys participating in charitable activities, both locally and online. In her (limited) free time she is an avid reader. Morgan has been employed in the hospitality industry since 1998. He has been active in the local performing arts community since childhood with many acting and directing credits to his name. He is also a musician and songwriter and has recorded 6 albums. Join Us For a Special Event!